Hey man absolutely love the UI! Only issue I seem to be having is when I open my character panel I have 2 lots of ilvl for all my gear shown, one in gold one in the relevant blue or purple colouring. What would I need to switch off to have this show as you intended? 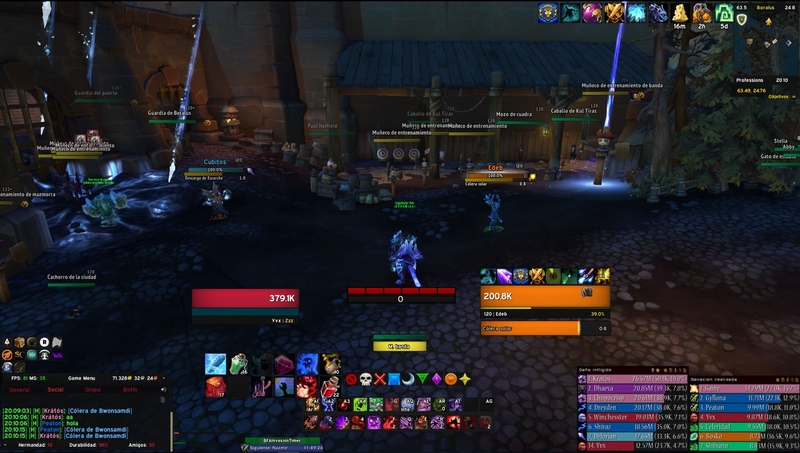 Just wanted to let you know this is the best UI I've ever seen for ElvUI, and I hope you plan on updating it for 8.1.5! Hi! This UI is the best for me but with the update for 8.1.5 and ElvUI updates my UI its look like this. I only have problems with databars and i cant configure like you do. You need to turn off the addon "ilevel"
Sorry to bother you, I just wanted to ask if you plan to update this Profile for 8.1.5. I love this config and I have been using it since Legion, so I'm very curious about its fate.